An animal rights activist has criticized the government’s strategy in handling cases of rabies caused by stray dog bites, suggesting that the government’s techniques violate world agreements on animal treatment. Dina Thulfaqar told satellite channel CBC late Wednesday that the Health Ministry imports rabies shots worth US$50 million without conducting the required lab tests. 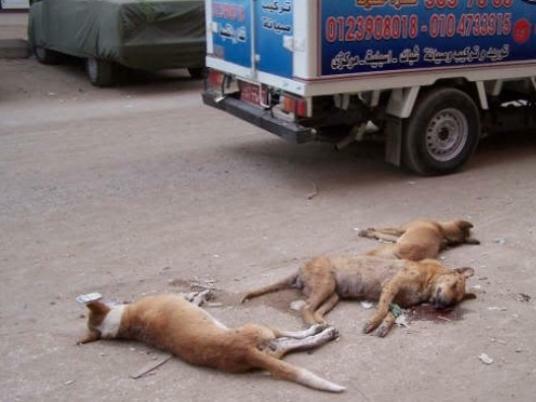 According to Thulfaqar, the General Authority for Veterinary Services sends its employees out to poison stray dogs once a rabies case is reported, even though there are other animals that can cause the infection. She said the measure violates rules set by the World Health Organization and the World Animal Health Organization, which ban poisoning street dogs and suggest vaccination and sterilization for them instead. Thulfaqar said veterinary authorities inject chickens with toxins as a trap to poison dogs, which is harmful to soil and garbage collectors, who do not usually wear gloves. “There should be a commitment to recommendations by the WHO, and there had also been a fatwa by Darul Iftaa that prohibited the killing of peaceful stray dogs,” said Thulfaqar.